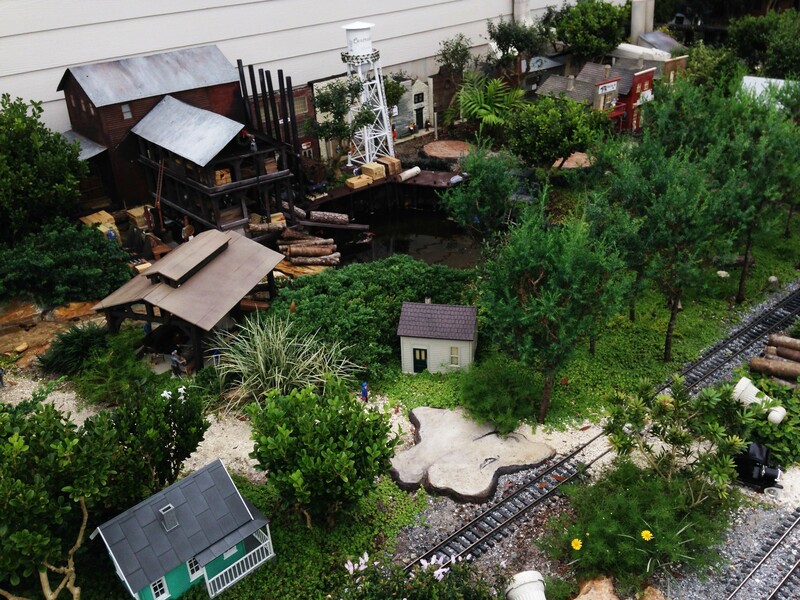 Much of last year was spent refurbishing the layout…the buildings, the figures and of course the plants. Let’s hope the weather cooperates…that we don’t have a hard freeze and destroy the tender plants. 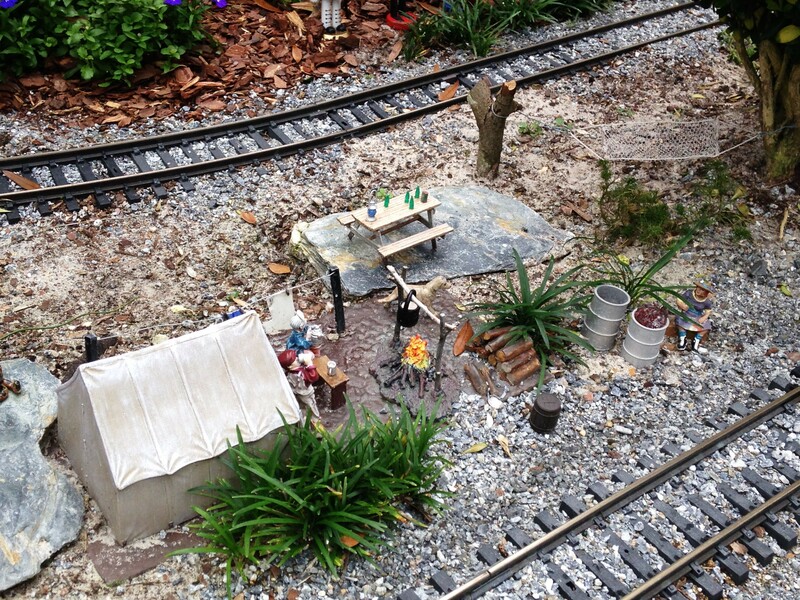 One of the areas that turned out nice was the hobo village located between the tracks. Note in the photo below new items: the hammock; the drink bottles on a new picnic table; the drums, especially the one with fire that actually glows (connected to track power); and a couple new figures. This view gives you a better idea of what it looks like from the passenger’s point of view. 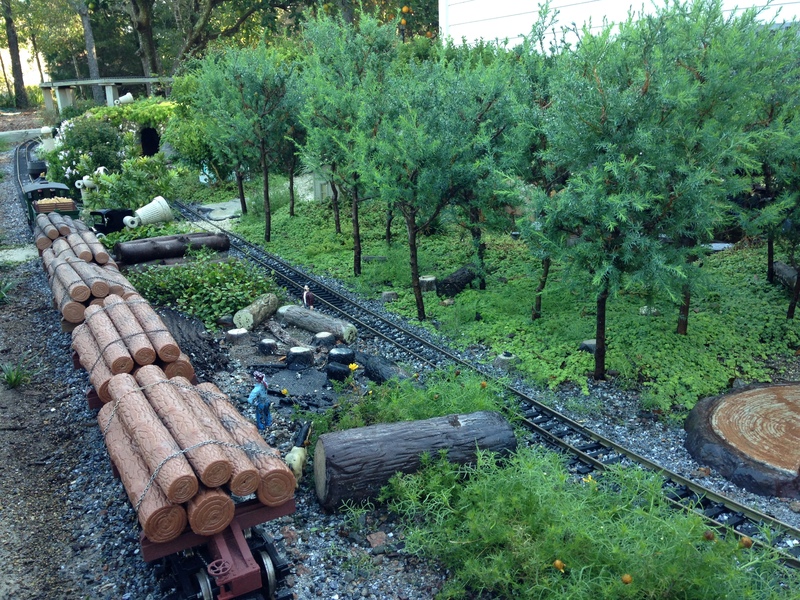 At the end of 2013, the trees were exhibiting thickened trunks, looking more like a real pine forest (this is real, just miniature). The ground cover has grown so most of the area beneath the trees is green compared to the mulch under the trees in the video. In the video below which was filmed in May, 2012, the newly planted cedar trees look quite differently than now. The video below was taken from the viewpoint of a passenger riding on the train. Near the start of the video there are very small twig-like trees that I had just planted. Now look at the size of the same trees in the video taken in May, 2012 compared to the same trees in December, 2013 in the bottom photo. 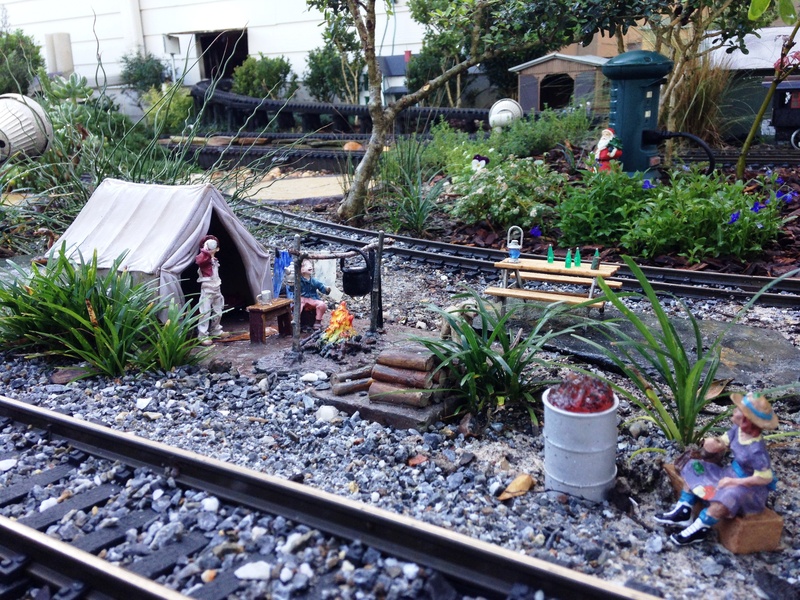 It’s holiday time in the backyard on the Centralia Garden Railroad. The Coca Cola mogul engineered by a polar bear is running next to the miniature cedar forest. Note the load of oranges and chocolates in the freight cars. The contents of the cars were made by painting beads. More of the oranges can be seen below next to the “orange” tree. In front of the train station the Christmas tree is decorated and guarded by toy soldiers. The flowers in bloom are Tampa Verbena. They seem to like the cooler weather of Florida’s December. 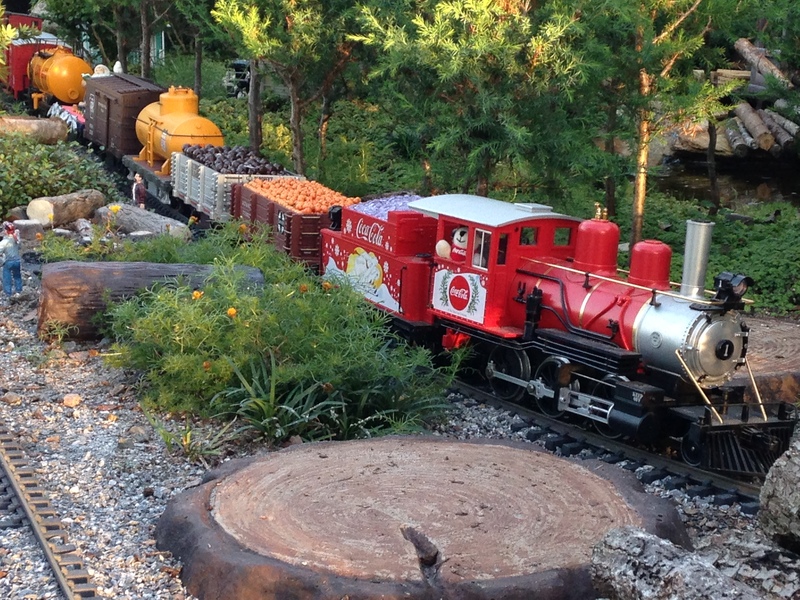 Below is a video of two of the trains running on the Centralia Garden Railroad. This video was taken in April, 2013, is a birds-eye view of the moving trains.